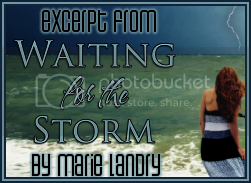 WAITING FOR THE STORM comes out two weeks from tomorrow! AAH!!! I’m excited and terrified and just basically a bundle of nerves. Even though this is my third novel, I’m beginning to think those nerves will never go away. Today I'm finally sharing the very first excerpt from the book. I hope it'll pique your interest and maybe even convince you to add the book to your TBR if you haven't already! “Two peas in a pod,” I murmured. What had happened in Ezra’s life to bring that haunted look into his eyes? He worked so hard that sometimes I thought he tried to stay busy not just for the money, but also to keep his mind occupied. There were times when I’d watched him work and he’d be intent on the job at hand, but his eyes would be distant, his jaw tight. “A pair of tortured souls,” he joked lightly, squeezing my hand. I expected him to release it then, but he didn’t, and we sat like that until the sun was long gone and the sand underneath us began to cool. He was right; it wasn’t. He was the only person I’d told. Even Dad thought I’d just been waiting for him to return home. He didn’t seem to think it was strange that I was waiting outside in the middle of a raging storm, but then he’d had more important things on his mind at that moment. “I wouldn’t leave if I didn’t have to.” Ezra’s eyes were pleading, as if begging me to understand that he didn’t want to leave, he had to. Even though he wouldn’t tell me why. He headed off across the sand, and as I watched him go, something in me shifted. I was tired of whatever secret he was keeping. I was tired of spending the entire night wondering where Ezra went and what he did. If he was into something bad, I needed to know sooner than later. My stomach dropped. He really was a drug dealer. Before cell phones had become so popular that almost everyone had one, my dad used to joke that they were only for doctors and drug dealers. Ezra never bothered with his phone during the day, but the minute it went off at night, he jumped up and took off. “Take me with you,” I repeated. I glanced up at my window, imagining myself sitting there for the next few hours, unable to sleep, my mind racing. If you’re a blogger who would like a review copy of WAITING FOR THE STORM please email me at irishstar_83(at)hotmail(dot)com. Just tell me the name and link of your blog and what format you’d prefer (pdf, epub, or mobi) and I’ll email it to you as soon as it’s ready. 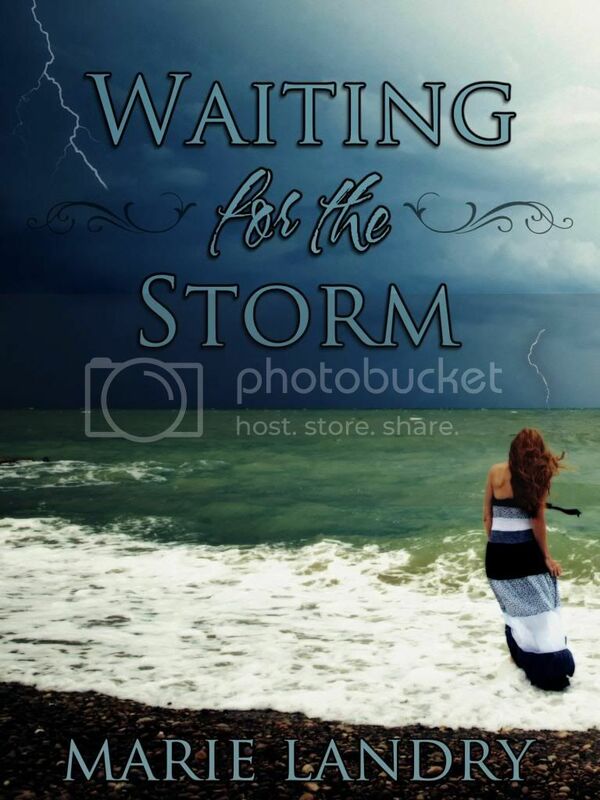 Also, on the release date I’m going to be putting up a giveaway as a thank you (and incentive) to reviewers - anyone who reviews WAITING FOR THE STORM in the first month will be entered to win a swag pack. It’s pretty cool if I do say so myself. Even though this is my third novel, this is the first time I’ve ordered swag, and I think it’s beautiful. So if you’re interested in reading and reviewing the book, be sure to email me! *Note - for those people who have a review waiting list and won’t get to the book for a few weeks or even months, I’ll be having more giveaways, so don’t worry there’ll be more chances to win! I can't wait to see what you've come up with this time Marie!! E-mail has been sent. :D Excited to read. :) Who wants to bet I go through this in a day like I did with Blue Sky Days and The Game Changer? :D BTW, great excerpt. Really makes me wonder what the heck is going on. 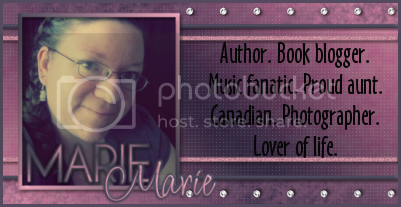 Off to email you Marie :) loved the excerpt!